Does absense really make the heart grow fonder? If so, then you must be super fond of me by now! I haven't been around much lately and I apologize. I've been unpacking more boxes, stripping wallpaper, working on my webstore, making aprons, and getting ready for the Flea Market this weekend. I'm sorry you haven't seen me around your blog, but I'll be returning next week. Really, I will. I had a super sale on my aprons over at Funky Junk a couple of weeks ago, and I've been sewing ever since. I shipped out the last of the aprons from that sale a few days ago, and I've been working on getting some new spring aprons in the shop. Aren't they fresh and fun? 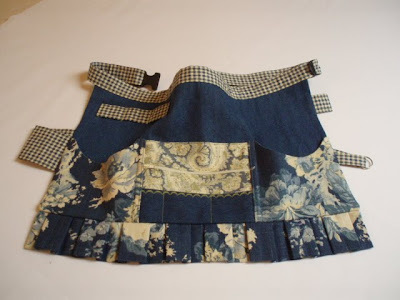 If you've read my blog then you know that I specialize in making work aprons for women. I want function and fashion when I work, and I want to offer that to others as well. Up until recently I've only sold my aprons in the wholesale market. I decided a few months ago to also start trying to sell them to retail customers. 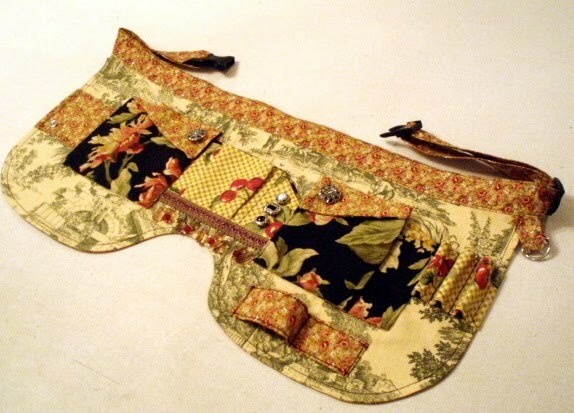 This way, I can offer many more fabric changes in my line. Rather than making 100 in one pattern, etc, I can make more fabric combinations in smaller lots. This allows me to give you more choices. ....and because I do, I want to offer the same special to you that I offered to the Funky Junk readers. I've changed all of the prices in my Etsy Shop to reflect this special. The prices will remain until midnight March 25. These are the LOWEST prices I will ever offer them for, so grab one now if you want it at the best price. If you're a crafter or seamstress of any kind, you know how important it is to be able to have all of your supplies at the ready. How conveinient to be able to carry them right at your waist. You won't find frilly kitchen aprons in my shop. That's not my specialty. These are serious (and seriously cute) aprons for people who are dedicated to their craft, and know how important it is to work efficiently. Here are just a few of the specials I'm running for you right now. 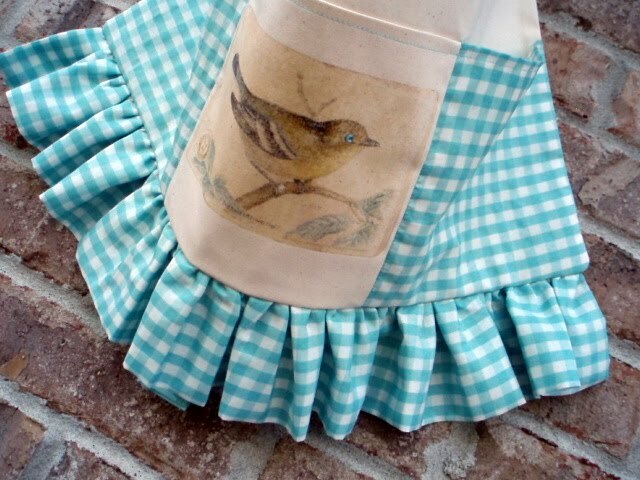 Our most popular selling apron is the one that Layla from the Lettered Cottage wears. 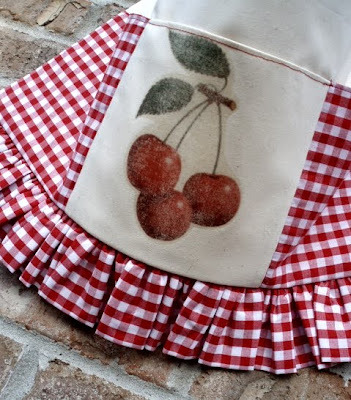 This apron normally sells for $48, but right now I'm offering it for $35! 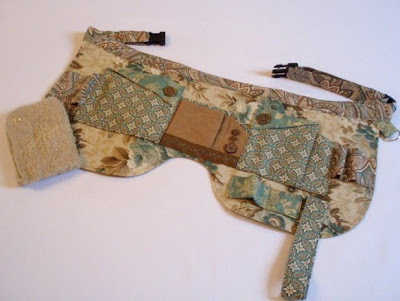 There are several fabric combinations in this style. Our Farmer's Market apron is also very popular. It's what we sell the most of when we set up to sell at a market. It's so flattering and flirty on. This one normally sells for $46, and I'm also offering it at $35 right now. We have three new fabric combinations coming in this style soon. I only recently started making this one in denimn, and it's selling like hotcakes to wholesalers already. 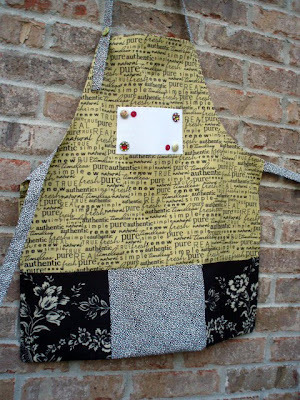 The Everyday Crafter is the "go to" apron for the general crafter, and flea market vendors seem to love it. This style is selling for $28 during this sale. You'll get your own name on the patch. 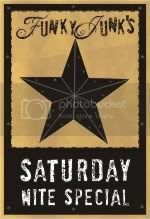 Wanna know which one my great friend Donna over at Funky Junk wears? funny. Can't wait to see it. And here's what I wear, and some of what I carry in it. Mine is 3 years old, so it's extremely broken in. Although, you can see how well they hold up! And here's my 3 year old partner. On this particular day, I have screws and nails in one pocket, a box of staples in one, a stapler, a stud finder, a hammer, a pair of pliers, a staple remover, a chalk marker, a pair of tweezers, and scissors. I'm going to show you a side view so that you can see the slide-on pockets. (Just keep in mind that I'm wearing a bulky sweater! lol) I have a calculator, a note pad, a camera, and my cell phone in here. So see, they really are functional! I'm still considered fairly new to blogland, and I'm still growing my readership. So many of you have already been there, done that, so to speak, and your wonderful blogs have lots of loyal readers. 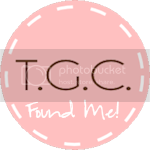 If you're up for it, please grab my shop button from the sidebar and share it on your blog. Help a fellow DIY gal make a dream come true! If you already have one of these aprons, please leave a note in the comments about yours, the quality, how you use it, or whatever you want to say. It'll let others know that real people like us are wearing them and using them. How do you feel the quality compares to the price? It's so hard to convey quality online, so those of you that have them can help me out here if you will. If you've blogged about yours, or plan to, please include a link to your blog or the post in the comments. Don't forget to head over and grab your apron! 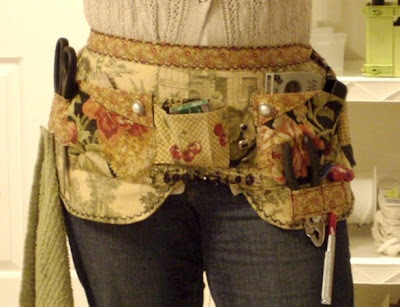 I love love love your work aprons,, I would really like to buy one, soon i hope.. I'll post about them and add your button when I get a chance.. limited access to computer right now. That's exactly what I need ! Do you know how many times I have to get up from my machine to go get my scissors. I'll head over and grab me one ! I love these work aprons. Not only are they created with such stylish fabric but you put so much thought into them to make them so useful. I am heading over to your etsy shop. I would love one in blacks, creams, and taupes but don't see one in your etsy in those color schemes. do you have any more made up for this price? Your aprons are so fabulous!! 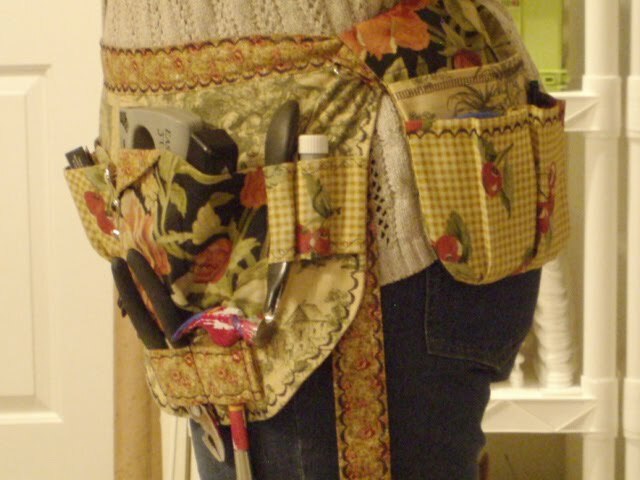 I love the way you combine colors and patterns and all the pockets are TDF!!! Must go check them out now. I have ordered one and it's on its way! Can't wait to wear it! My work apron is FABULOUS. The very first thing I gasped at was the quality. Amazing. Stitching perfect, nothing was overlooked. The waistband clicks on and off so easily. It's truly a workhorse but a pretty one at that. I requested a colour denim mix so it would mesh with my jeans for work. And it does! I install vehicle graphics so I use the apron to hold my exacto knives, felt pens, tape measure and iPhone. Comfort wise? You forget it's on. It's such a great fit and never in the way. I love my apron and highly endorse it!